In 1980, Motorhead released their fourth studio album Ace Of Spades. 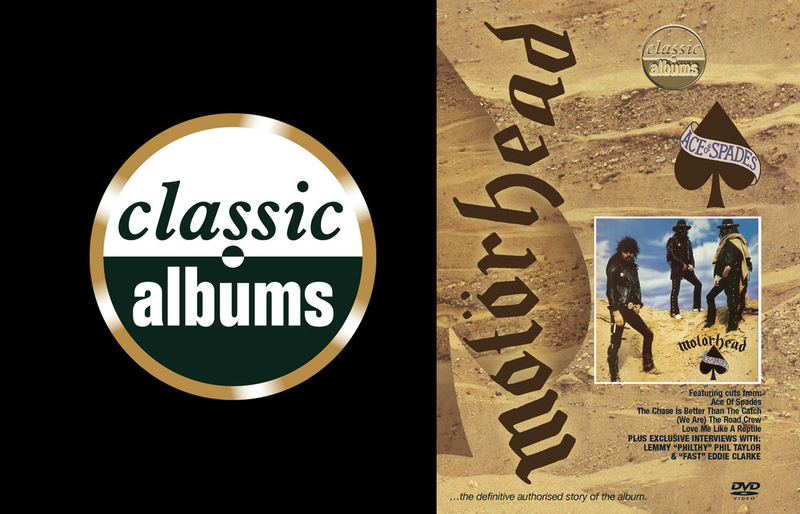 Loud, fast and overwhelmingly heavy, Ace Of Spades would propel Motorhead into the ranks of Heavy Metal’s elite and 25 years later is still considered a benchmark album in it’s genre. Shortly after releasing their self titled debut album, guitarist “Fast” Eddie Clarke joined the band, resulting in what would become the classic Motorhead line up of Lemmy(bass/vocals), “Fast” Eddie Clarke(guitar) and Philip “Philthy Animal” Taylor(drums). Ace Of Spades Classic Album sees Lemmy, Eddie and Taylor talk candidly about the writing and recording of the album and the goings on inside the Motorhead camp at the time. Watch Eddie as he demonstrates how the riff for Ace Of Spades came about, and see the trio (with the help of modern technology) together on the same stage once again. Also featured are exclusive interviews with the likes of Slash, Lars Ulrich (Metallica), Dave Brock (Hawkwind) and many more.